I have a friend who also happens to be a blogger. He recently received and accepted an offer for his dream job and is, consequently, relocating to another state. 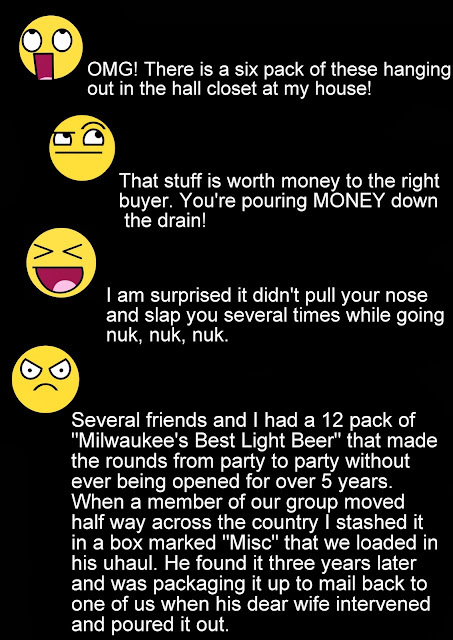 While in the process of going through household items in preparation for the big move, he came across a six pack of beer. He doesn't know where he got it, how long he's had it, or even if it was any good. 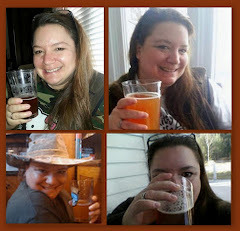 The beer was The Three Stooges from Panther Brewing. 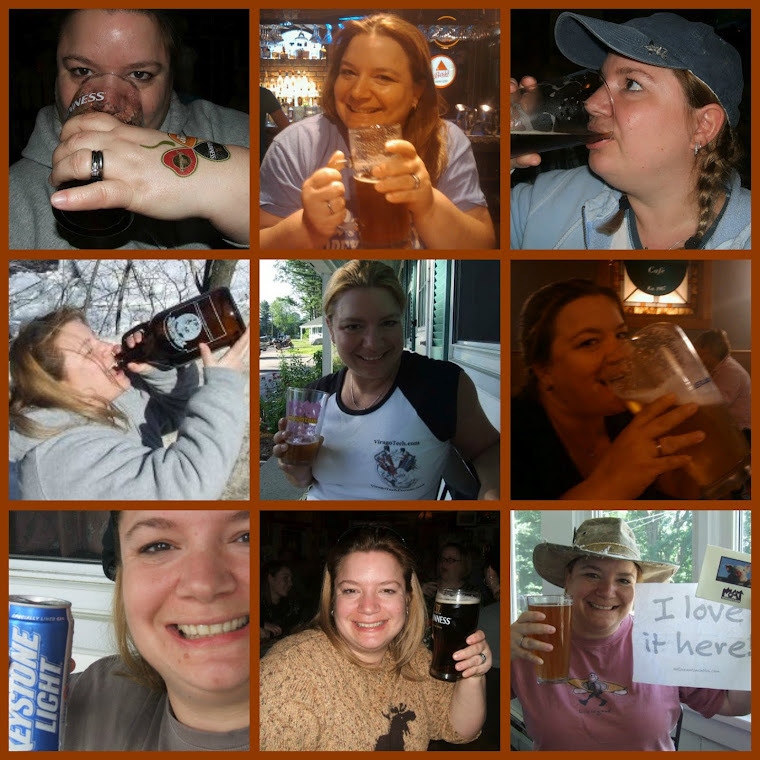 I admit I'd never heard of this beer or brewery before but I was curious so I did some poking around. It turns out that this is no ordinary beer that my buddy dumped down the drain. Of course, he blogged about it. 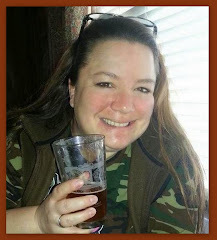 Panther Brewery was owned by Matt Brewing who is better known for brewing Saranac. There was a Three Stooges 1935 episode called Three Little Beers. In it, the Stooges were hired as delivery men by The Panther Brewery. It's implied that brewery is so named because their beer tastes like panther piddle. 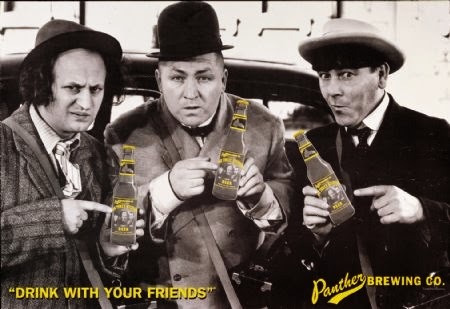 So it's a natural that an actual brewery named Panther Brewing would name a beer after the Three Stooges. 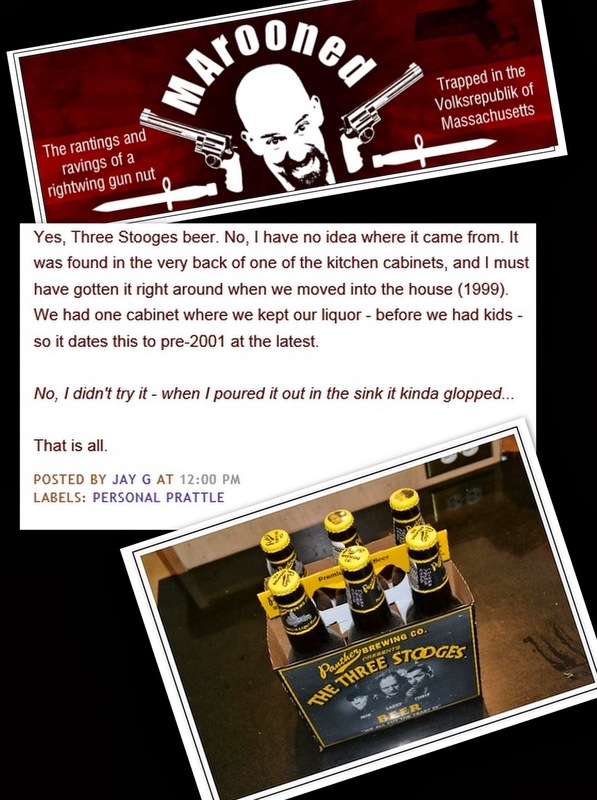 It hasn't been brewed in a long time - The Three Stooges was brewed in a limited run in 1998 and has long since been retired from production - but apparently, it's very collectible; going for as much as $10 a bottle on Ebay. It's seems as though it's more collectible to Three Stooges fans than beer lovers. People are auctioning and buying things like bottle caps and empty six pack holders and empty bottles. The six packs that actually contain the original beer are obviously more valuable. I'm reading mixed reviews as to how good it was. It was an adjunct lager, so I'm guessing it was nothing special. 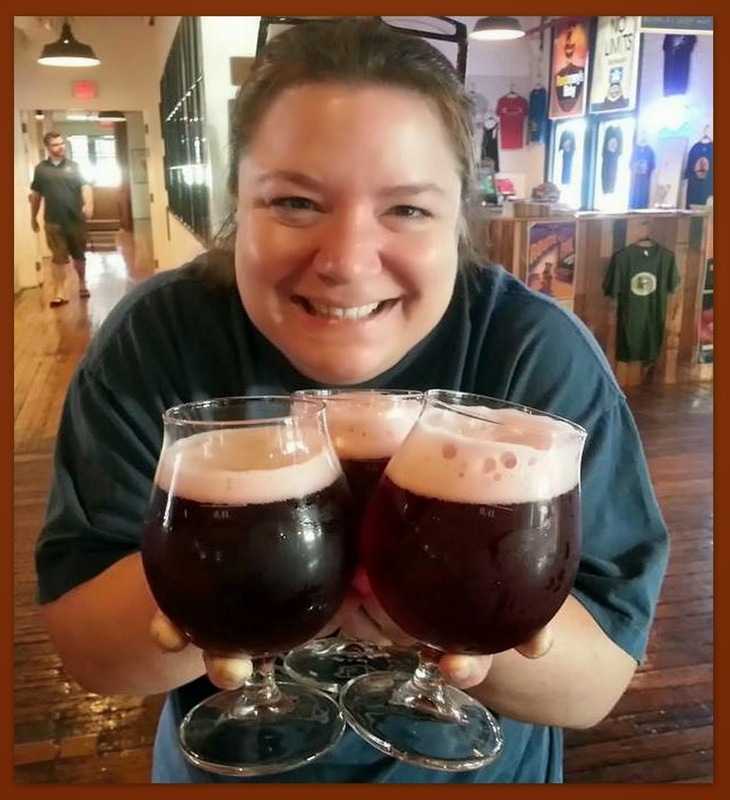 I'm not sure that *I* would have drank the beer myself, but I probably would have tried it. Whatever the case, glug, glug, glug . . . down the drain it went. I love Jay. He's cute but not too bright, though.